It’s not every day a band writes about Ancient Egyption curses is it? 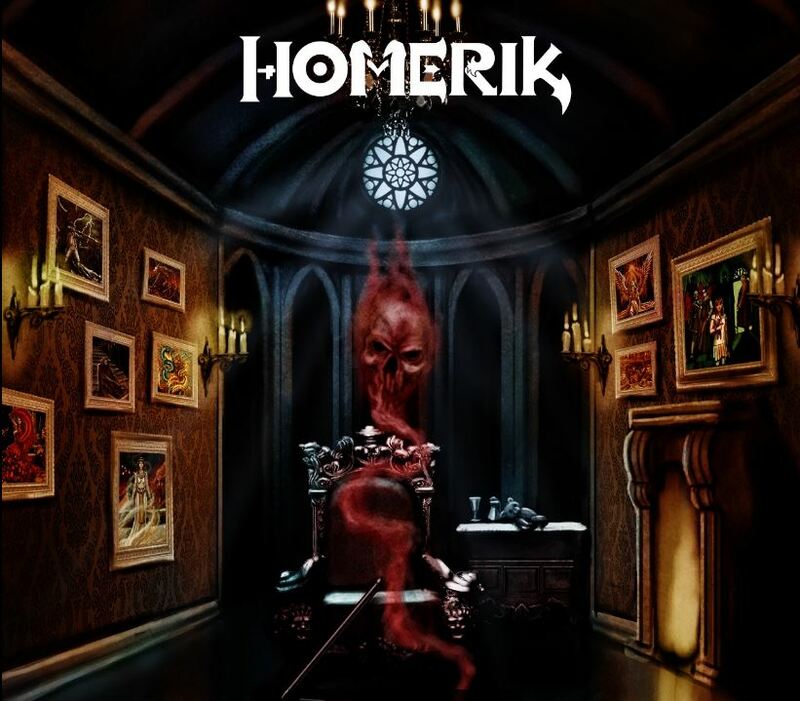 Well prepare yourself for ‘Homerik’ and their debut self titled album. 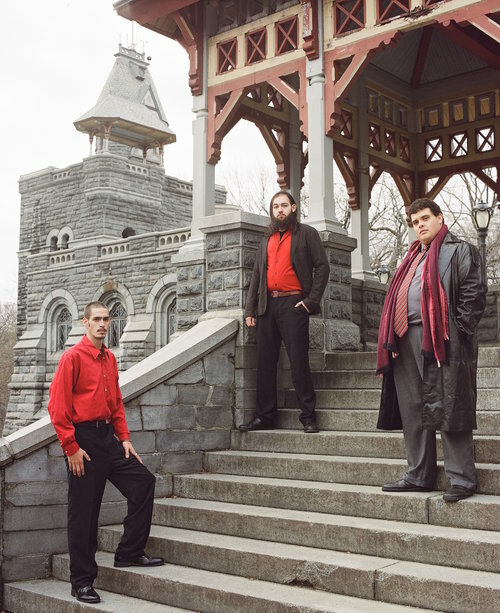 The New York trio; Ken Candelas (The Mad Composer), Andrew Petriske (The Daemon), and Obed Gonzalez (The Gatherer) have spent the last three years bringing together their love of video game, film music and dark mythology with their love of bone shattering metal, to push the genre to a new dimension…. And though a strange mix, you know what? Homerik have pulled together one of the most ambitious and most creative albums you are likely to hear this year! The lead track A Song of the Night Part 1 (A full 7 minutes 15 seconds of melodic metal creativity) tells you everything you need to know about the band. It leads you in to a false sense of security, which builds through 3 minutes of spooky yet etherial female vocals and orchestral music, curtesy of Carla Candelas & Nilsa Astacio. Just as you think you’ve settled into the song it blasts you into a tribal/ metal/ medieval mishmash. My personal highlight of the album The Ire of Green brings together Irish style folk with fiddle and tin whistle mixed effortlessly with sharp, stabbing guitar chords, reminiscent of a heavier, darker Gogol Bordello. Truly some of the most creative music you will ever hear, definitely worth your time. Think, System of a Down have gone back in time, stollen some ancient Egyptian scrolls and to the depths of hell – travelled around the world and now are writing songs about what they’ve seen. A Song of the Night Part 1 is available on Spotify now https://open.spotify.com/artist/1Ry0Y2JiVXjpidTHDpYVQx. You can Stream and Download the rest of their self titled album when released on Halloween. This entry was posted in Experimental, grunge, Metal, Punk, Rock and tagged Homerik, Melodic Metal, Metal, System of a down.